These pieced and quilted heart pillows are made with a patchwork of bright fabrics from Bonnie and Camille for Moda, using Moda’s “Snow” as a background. Use different fabrics to get a completely different look. 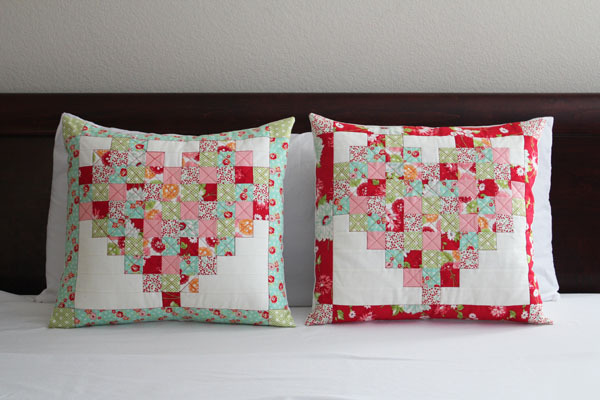 Find the tutorial for pieced heart pillows here.